Try to hold back the smile as you look at this amusing set of booties. You can't because these fun foot covers feature a legendary pair of rivals that don't get along. One foot is an innocent mouse, and the other one is a dangerous owl. Watch as the predator swoops down to capture its prey, or break the rules and let them be friends. These high quality booties feature all-weather constriction that is breathable in warm climates, and cozy when it gets colder. The soft, fleece exterior has a plush Sherpa lining, so the material is both comfortable and lightweight. Slip baby's feet in easily, and ensure they stay on thanks to the simple strap at the top that adjusts for size, and keeps them snug. Great conversation starters, these are more than just infant shoes. 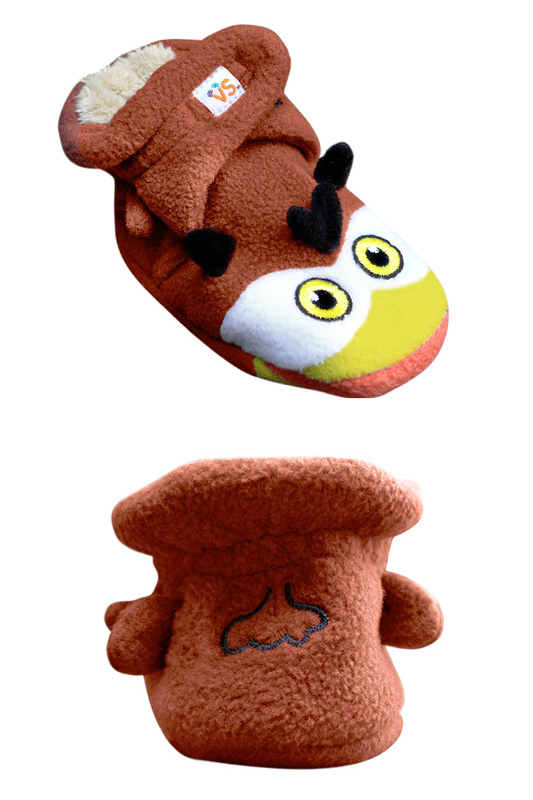 They double as puppets, and the detailed characters pretty much guarantee fun whenever they're worn. Totally machine washable and available in a single, 6-12 month size. Perfect for playtime year round. Secure. A strap at the top adjusts for size, and keeps them from falling off. Prefer Different Characters? We also have Dog Vs Cat and T-Rex Vs Triceratops Booties for you to choose from. Get your favorite, or collect them all! Love the concept, but not digging this product? 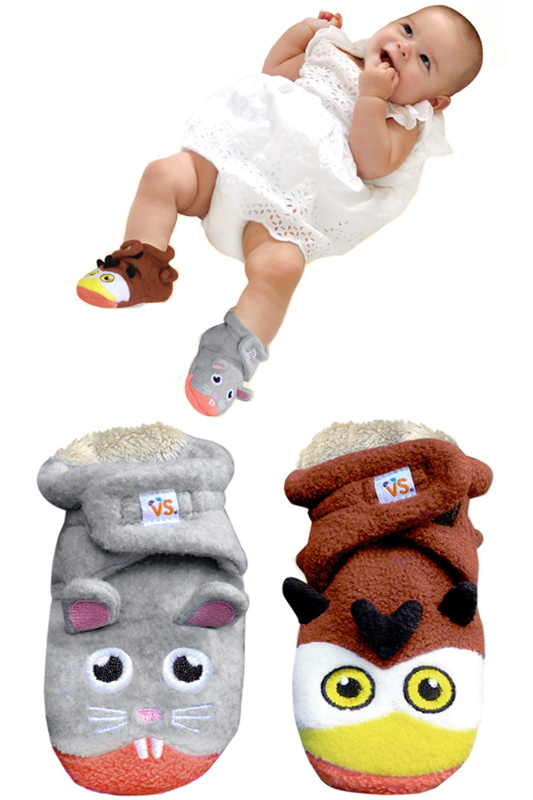 Check out our Vs. Mittens for predator vs. prey pairs that go on children's hands. Order Yours Today! More fun than any booty should be. This pair can't help but fight each other. 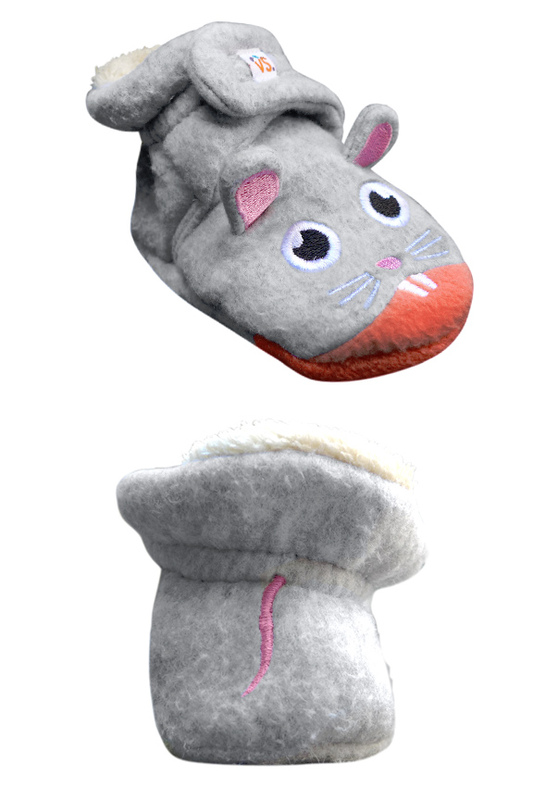 Warm and comfy foot covers for boys and girls. Order Yours Today!